This awkwardly named game is a gem of classic gameplay. 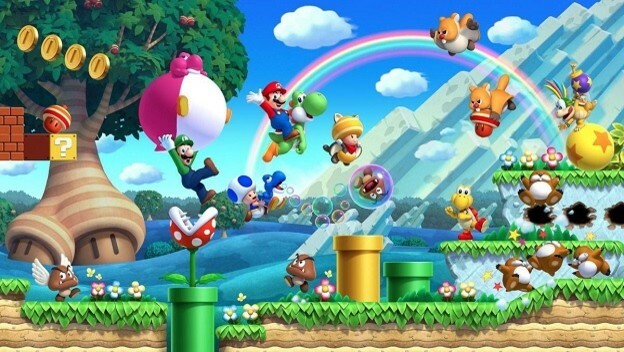 In terms of style, New Super Mario Bros. U Deluxe seems to harken back to Super Mario World, but with the players playing simultaneously. Each character has a different style of play. That can be rewarding, unless you get stuck playing as one character who simply doesn’t take damage from enemies; that guy is for babies. The music will also be familiar to fans of the series, and the courses will often look like the pillars that the old games were based on. You have your underwater levels, your castles, and your haunted houses, for example.